Hikaru is playing beyblade because of her sick mother's dream. Cool girl who talks in tomboy style. She first heard about Ginga from Benkei. She is one of the souls that taken away by Kyouya (along with Tsubasa), and later saved by Ginga. Beginning 2nd season, she is not a beyblade player, but a secretary of Ginga's father, who is a new WBBA leader. 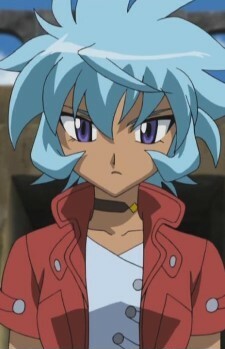 She is afraid of Tsubasa's darkeness, which resembles Ryuga.